Westside Tile and Stone has been your local tile and stone contractor for over 12 years. We continue to help businesses and homeowners offering high-quality residential and commercial tiles to make their areas more spacious and extensive tile design that bring out their uniqueness and personalities for their spaces. We offer a variety of different bathroom tiles, kitchen tile flooring, backsplash and countertop tile options for you to choose from. At our Tile Store Chatsworth CA, we have an extensive collection of wall and floor tiles, modern patterned tiles, stones, and slabs that can give the most classic look to your space. We carry unique, hard to find tile products from natural ceramic tiles and porcelain tiles to durable marble and granite tiles to elegant glass and porcelanosa tile all are offered at the most affordable prices. 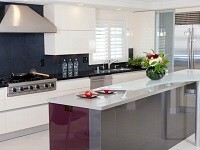 You can check our vast collection of stones and tiles at our tile showroom Chatsworth CA. We have been providing exception tile material and prices for years! What has kept us in this business for all those years is our commitment to passion, low prices, and fantastic customer service. The workers at our tile store Chatsworth CA are also well-trained about the different tastes, ideas and the requirements of the space. 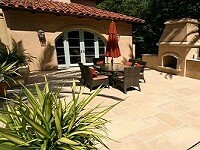 So, all you need is to give us a call and get the most competitive pricing by Tile Store in Chatsworth, CA. Are you looking for the most stylish and Victorian styled floor your Chatsworth, CA house? Westside Tile and Stone is just the ticket! The most elegant geometric patterns with eye-catchy colors and tile designs will undoubtedly make a big impression on your guests. You can find well-designed and sophisticated tiles and stones that offer a variety of sizes, shapes that give timeless beauty to your space. We have an extensive collection of interior and exterior tiles, a perfect choice for an easy remodeling purpose.